In a statement released Sunday, the Pentagon revealed the number of active-duty service members that will be deploying to the U.S.-Mexico border in response to more migrant caravans making their way north. The surge in troops will bring the total amount of active-duty members to around 4,350. 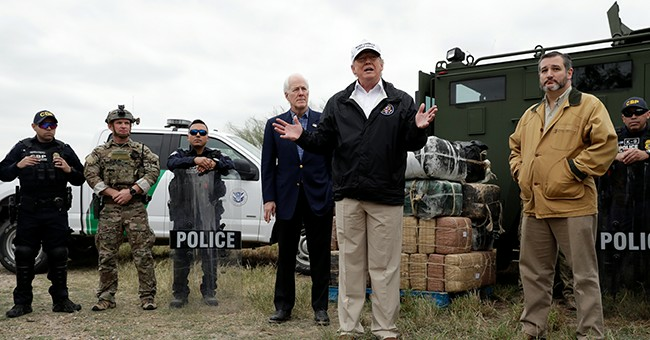 “Additional units are being deployed for 90 days, and we will continue to evaluate the force composition required to meet the mission to protect and secure the southern border,” the DOD added. The active-duty components being sent to the border are in addition to the around 2,300 National Guardsmen that are already deployed to the border. John Rood, the Under Secretary of Defense for Policy, testified to the House Armed Services Committee last week they and the Department of Homeland Security are tracking three large migrant caravans.